The most basic political unit of the Kiowa was the band. A band was frequently one kinship group with some unrelated members. Bands resided and traveled as a unit. A band would usually have between 15 and 50 tipis that housed a family that averaged five members. Bands formed around the most honored member of a kinship group as a necessity to maintain a nomadic hunting lifestyle. It was common for a man to leave his band and form a new band of his friends and closer relatives, so bands shifted and fluctuated over time. Six large bands formed the major subdivisions of the Kiowa tribe: Kiagwa (Kiowa proper), Kata (Biters), Khe-ate (Big Shields), Kogui (Elks), Sindiyuis (Saynday’s children), and Semat (Thieves). The Kiowa-Apache belonged to the Semat. Each subdivision had its own chief. Each of these subdivisions had its own history that played a part in the tribe’s past. The subdivisions each had a specific role in the most important Kiowa ceremony, the K’ado (Sun Dance). Kiowa society was a hierarchal class system. The highest class was the onde. This class consisted of keepers of religious objects, honored warriors, and major tribal leaders. Wealth played a minor role in the tribe’s class system. Warriors and leaders gained the majority of their wealth through achieving honors or acts of heroism. In most cases wealth accompanied, but did not necessarily determine, social status. Roughly 10 percent of the tribe belonged to the onde, which included men and women. Approximately 40 percent belonged to the next class, the ondegup’a. This class was formed from less influential leaders, less distinguished warriors, and individuals with limited wealth. Most of the tribe belonged to the poor class called the kaan. The lowest class, the dapone, was reserved for those without wealth or military experience. There was some ability to move between classes. Any man who achieved high honors in battle could quickly rise to a higher class. A man could also be demoted as quickly. Indiscretions, such as dishonesty, theft, or callused treatment of another member of the tribe, could result in demotion. Members of the onde were less likely to face demotion for minor offenses that might result in punishment for a lower class individual. 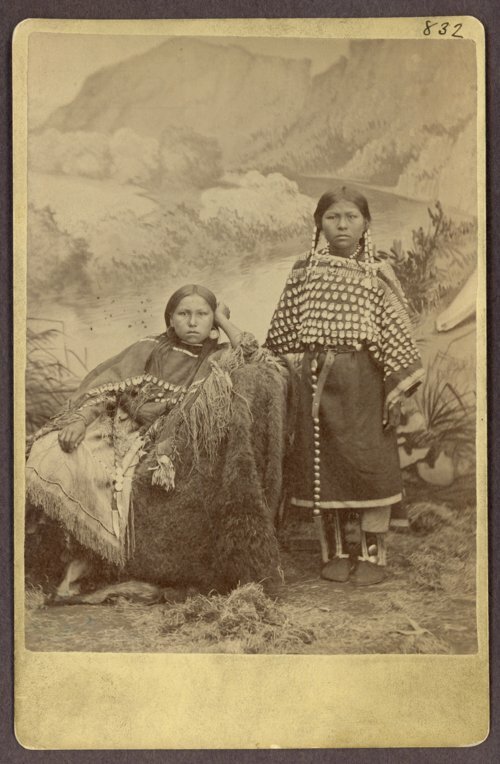 Major crimes, such as the murder of another Kiowa, resulted in the offender being ostracized. Women had less upward mobility. Most female members of the onde had to be born or married into that class, but there were exceptions for the most skilled at valued crafts. The tribe’s leading chiefs were part of the onde. Each individual band had a chief who made decisions that concerned his band. It was common that at least one of the band chiefs achieved enough diplomatic and military honors that he could carry his influence across bands. The band chiefs met in a council to make decisions for the tribe as a whole. The council functioned as a unicameral legislative body with some executive powers. The most honored band chief likely had the most influence over any decisions. Councils were responsible for declaring war, establishing peace with enemies, and determining the schedule and location for tribal ceremonies. A distinctive class of Kiowa warriors that served multiple functions were called “Dog Soldiers” because they had been visited by a dog in either a dream or a vision. These men regulated the collective hunts. Before a hunt began, the Dog Soldiers would position themselves to form an approved perimeter for the hunt. No hunters were allowed to pursue any bison beyond the perimeter or his horse could be shot. Dog Soldiers presided over tribal ceremonies and also served as guards and police for the camps. During some periods of travel, the Dog Soldiers rode on all sides of a band to ensure that none of the younger men broke away to go on raids and made trouble for the tribe. Dog Soldiers were selected from the warrior societies. The tribe had five warrior societies. Young boys joined the Polanyup (Rabbits). As these boys learned essential skills, such as hunting and leadership, they progressed through the five warrior societies. There were 12 deeds that qualified as war honors. These deeds ranged from stealing an enemy’s horse to charging at an enemy leader in battle. The highest honor was to touch, but not kill, an enemy warrior. Each man had to complete a minimum of four deeds to be considered a warrior. The highest and most honored warrior society was the Koitsenko. Only the 10 most honored warriors were admitted to this society. They wore red sashes and carried sacred spears into battle. A Koitsenko anchored one end of his red sash to the ground and fought from that position until another warrior allowed him to yield his ground. If one was at risk of being killed, the other commanded him to advance. The command actually permitted him to retreat. One rule of the Koitsenko was to do the opposite of what was commanded.